Imagine a planet orbiting a star some billions of lightyears away from us, the planet is 4 times the mass of Earth and is covered with ice 100km thick on average. It is believed that liquid ocean exist beneath that thick ice sheet and it could harbour life, any way I like to know how quakes can occur naturally on the ice without scarring the surface or through divine intervention? There is a gravitational pull from the star on the planet. This causes movement in your underground water just like the tides here on Earth. You will still have the 'bulges' in your water table. These exert a pressure on the ice that's above it. Since it is your world, you can decide how strong these forces are going to be: the quakes can be mild, or they can bring down your ice mountains. The predominant model suggests that heat from tidal flexing causes the ocean to remain liquid and drives ice movement similar to plate tectonics, absorbing chemicals from the surface into the ocean below. These things are big. The really big ones rarely move, their energy mostly coming from varying tidal forces on their bodies. Very occasionally they do. When they do, stuff shakes topside over a large area. These big ice worms leave tunnels that gradually fill back in. The presence of these tunnels can be helpful for a fiction or game. Big ice worms start as smaller ice worms. Your guide can tell worm size by the shaking. The big ones are deep, and nothing to worry about. The little ones sometimes shake even more than the big ones, and those you do need to worry about. They are shaking things more because they are right underneath you, and possibly interested in you. 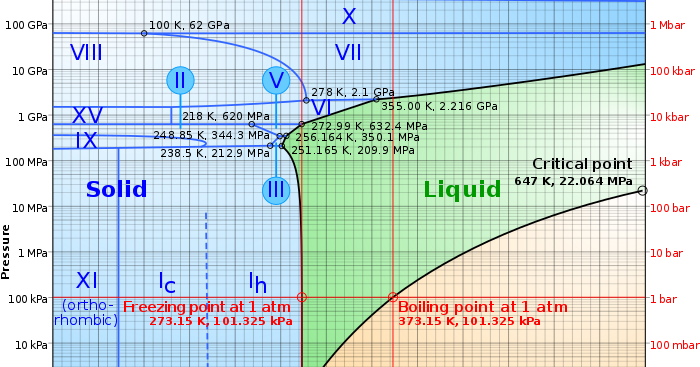 So, ice isn't a singular material and can exist in any of 11 unique forms each with different pressure and temperature requirements. On a planet with a 100km thick blanket of ice, the ice in the middle and bottom layers would very likely be subjected to many extremes of pressure. Your "ice quakes" could be ice reacting to changes in form (almost all of which include a molecular realignment in the crystal structure) due to pressure changes within the ice sheet. These would cascade out quickly from the "epicenter" as the pressure gradient forces nearby ice to crack and realign itself in response to changes in pressure or even creating thin layers of melt between the sheets where the ice can "slip past" itself. The top layer of ice need not even be very involved here, as changes in the lower and middle layers of the ice sheet would send shock waves which would travel quickly through the thick solid "cap" on your planet and the thin "melt layers" could let much of the surface move independently from the ice under it. Combined with some of the other answers such as tidal forces or geothermal activity, this could easily explain anything you need about the geology of the planet. In addition, while most ice has a lower density than water and floats on top of it, many of the more exotic forms which might be formed in your ice sheet could easily be more dense than the water, working themselves down through the ice sheet over many years until they "rain down" through the liquid layer onto the rocky floor below, only to eventually reheat via geothermal radiation and melt, eventually finding their way back into the ice sheet. Under the ice there is water (maybe) and under the water, there is rock, then under the rock there is a molten core, this allows for tectonic plates to move and shift like it does here. The same things that cause earthquakes on earth will cause earthquakes on your planet. The water under the plates has a dampening effect on the ice, so the ice shakes, but doesn't break or shift. Not the answer you're looking for? Browse other questions tagged planets water ice earthquake or ask your own question.